The NoPSC Biobank is a state-of-the-art biobank, where every sample is traceable throughout the system and both clinical parameters and biological materials are registered. In 2008, when the Biobank was established and during the years that followed, we collected a wide range of biological samples from patients with primary sclerosing cholangitis (PSC) and other liver related diseases. Since 2013 we have only gathered samples from patients suffering from PSC and cholangiocarcinoma, but from 2016 we will also collect samples and clinical data from patients with other autoimmune liver diseases. A sample set of 8 blood samples gives us plasma (with and without pro¬tease inhibitors), serum, DNA and RNA. Bile and surplus tissue samples are stored in conjunction with various procedures (e.g. ERCP, liver transplantation). Tissue sampling from diseased liver during transplantation is facilitated on a 24 hour voluntary basis by medically educated scientific personnel at NoPSC by expert contributions from pathologists at the Department of Pathology. Samples are stored in tubes with a two-dimensional barcode (Matrix®) and scanned into the MEDinsight database. In the database every single tube is connected to a unique form where information regarding e.g., sample date, preparation procedure, volume and position is registered. 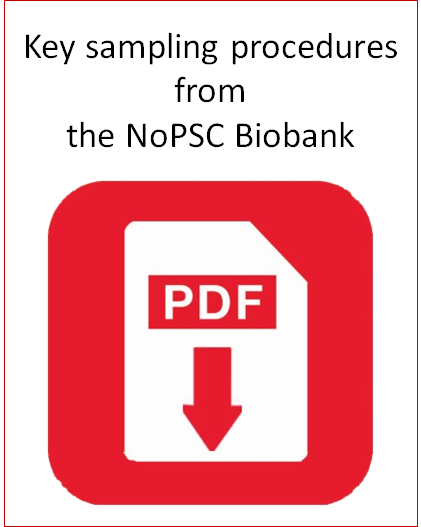 Standard operation procedures (SOP's) are established for each material, and are written in the "Book of procedures for Biobank at Norwegian PSC Research Center" (sette inn link). There is a 1:1 relationship between a stored sample and a SOP. After being positioned in the system, all samples are stored at either - 20 °C, - 80 °C or in the gas phase of liquid nitrogen. The MEDinsight data-base has a unique system of sample deposition, position and retrieval, and also contains clinical information. Retrieval from the biobank can thus be coupled to a wide variety of clinical, technical and biological parameters. The PSC prospective cohort study was started in 2013, both in Oslo and at Haukeland University Hospital in Bergen, with yearly control and follow-up of PSC patients. 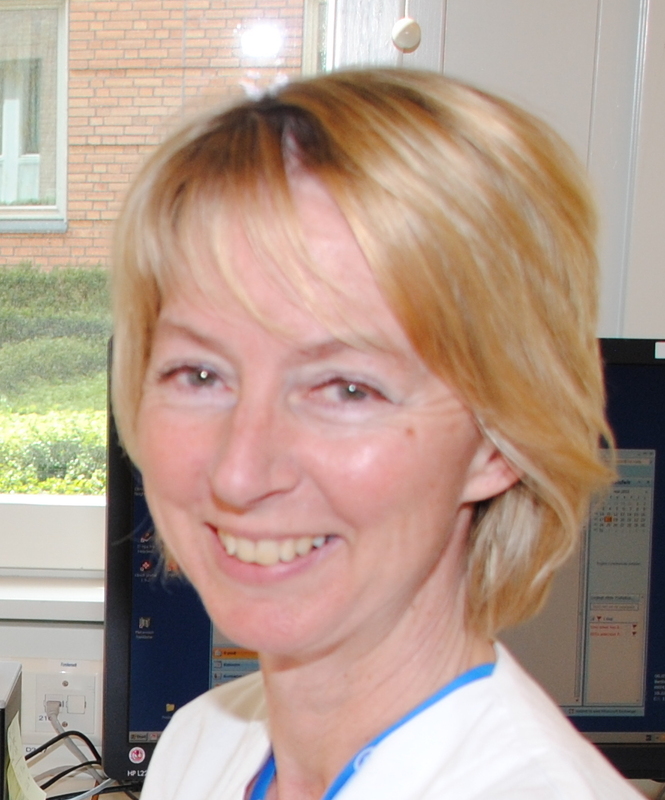 The same year a Biobank at Haukeland University Hospital in Bergen was established using the same procedure as NoPSC Oslo. For more information; see "Prosedyrebok for NoPSC biobank" (in Norwegian). A shorter version in English is also available. The book of procedures includes all standard operating procedures (SOP's) and information regarding patient information and recruitment. Since 2009 different sets of materials from the NoPSC Biobank has been withdrawn close to 150 times. The majority of those withdrawals (almost 90) have been used by the Experimental Liver Research Group (Espen Melum) at NoPSC, in the study “Functional characterization of disease genes in primary sclerosing cholangitis“. The rest of the withdrawals has been used by our other research groups: Genomics and Metagenomics in Inflammatory Disorders (Hov Group) and the Clincal Studies (Boberg Group), under the following studies “Antibodies in primary sclerosing cholangitis”,” Genetic studies in primary sclerosing cholangitis” and “Early diagnostics in the development of cholangiocarcinoma”. All studies are approved by the Regional Ethical board.